Please note: this post contains references to suicide. 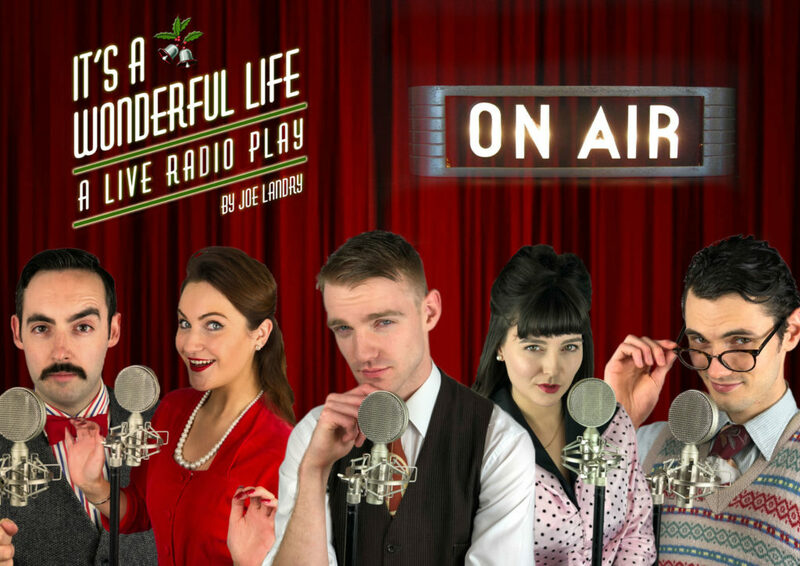 It’s a Wonderful Life – A Live Radio Play is at at The Old Joint Stock, in central Birmingham until 24th December and this production is utterly delightful! Narrator (Anton Tweedale) tells us the story of George Bailey (Charles Lomas) who is being watched by an angel Clarence (Rowland Stirling). George feels trapped by debts and that here is no way out. He wishes not to have ever been born and wife Mary (Hannah Fretwell) and his mother (Marisa Foley) no longer recognise him. In fact no one knows him at all. 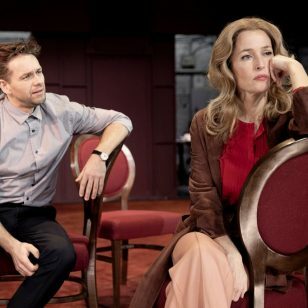 A play told as a radio play might not seem like the most straightforward show to see at Christmas, but it is packed with charm, style and a big table full of sound effects. 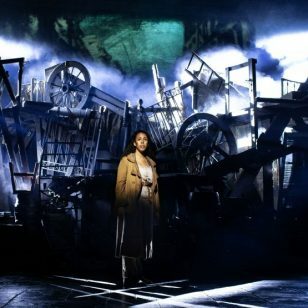 Two rows of seats for the audience surround three walls of this fringe style theatre, and there are five classic style microphones for the five actors, plus three microphones on the sound table. For a radio play, the actors themselves make a great use of the physical space as they move around the checkerboard flooring, And they are dressed themselves in 1940/50s clothing to really make you feel like you are watching a classic production in a recording studio. I loved seeing how they made the sounds from churning water to wind chimes and crunching on snow. With two acts which both last around 45 minutes there’s even a couple of radio adverts to hear, though I’m sure one was for using toilet duck tablets to clean windscreens! It’s very easy to see why The Old Joint Stock has earned its Good Pub Guide’s Town Pub of the Year 2019 award. With great productions, a lovely historic bar and a rabbit warren of corridors and snug spaces to explore.